We are a proud member of the international consortium (EMBYE Consortium) that has been awarded the General Consultancy Services assignment for Phase 1 of Chennai Metro Rail project. 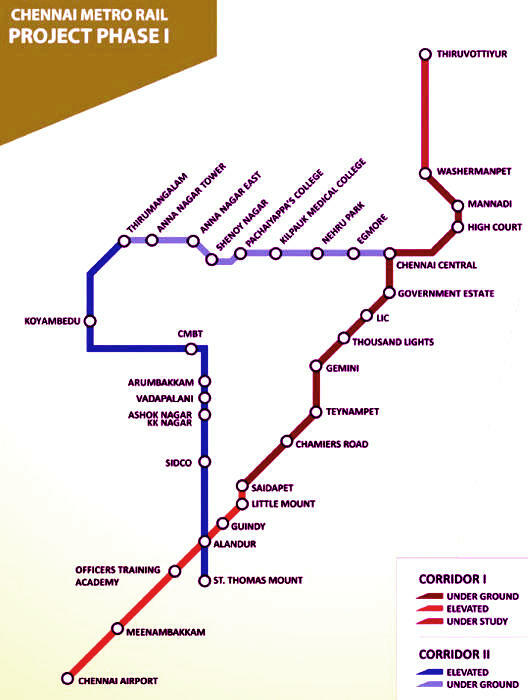 Chennai Metro Rail Limited is implementing the metro rail project to connect parts of Chennai city by means of two corridors totally spanning 45.046 kms. 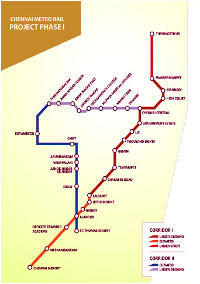 State-of-art technology and systems will be hallmark of this metro rail network. When completed, Chennai Metro Rail will become a fast, reliable, convenient, efficient, modern and economical mode of public transport for the citizens of Chennai. The project is proposed to be funded partly through equity or grant contribution from Government of Tamil Nadu (GOTN), Government of India (GOI) and through loan from Japan Bank for International Cooperation (JBIC). Prepare bid design and provide all necessary assistance in evaluation, negotiations, if necessary, of bids invited by CMRL and award of contracts. Assistance in the selection of Contractors, suppliers, manufacturers, detailed design consultants and other related services to Metro system. Co-ordinate, review/monitor the efforts of all contractors, consultants, suppliers and manufacturers. Construction/erection supervision at all levels including contract administration, safety, quality and environmental aspects. Plan for O&M, frame Operation and Maintenance Manuals. Assist in tests, trials and commissioning of the system. Provide schemes for integration with other modes of transport, including related transportation planning and assist CMRL in putting in place a mechanism of ‘seamless travel’ through various modes of public/private transport. The General Consultancy Services for Chennai Metro Rail commenced in 2009 and extends upto 2016.